Emerging under same socio-economic parameters as majority of houses in Bosnia and Herzegovina- within a small budget, an underdeveloped construction industry, deregulated urban planning conditions and chaotic building permit bureaucracy- house NHRV tries to subvert the banal reality of contemporary House and Nation Building in post-war Bosnia and Herzegovina (B&H). It challenges the status quo of contemporariness, by being an extraordinary response to its immediate and wider context through inherently ordinary means. In relation to “world-wide” contemporary architecture, the house NHRV does not have an ambition to introduce anything new and extraordinary. However, inside the context of today’s Bosnia and Herzegovina it represents an attempt to create alternative reality. Composition consisting out of two sloped volumes (a house and a garage), together with a third, planned volume (the summer canopy) refers to ordinary, generic shape of the house- being disassociated in order to relate with fragmented morphology of the built mountain landscape. 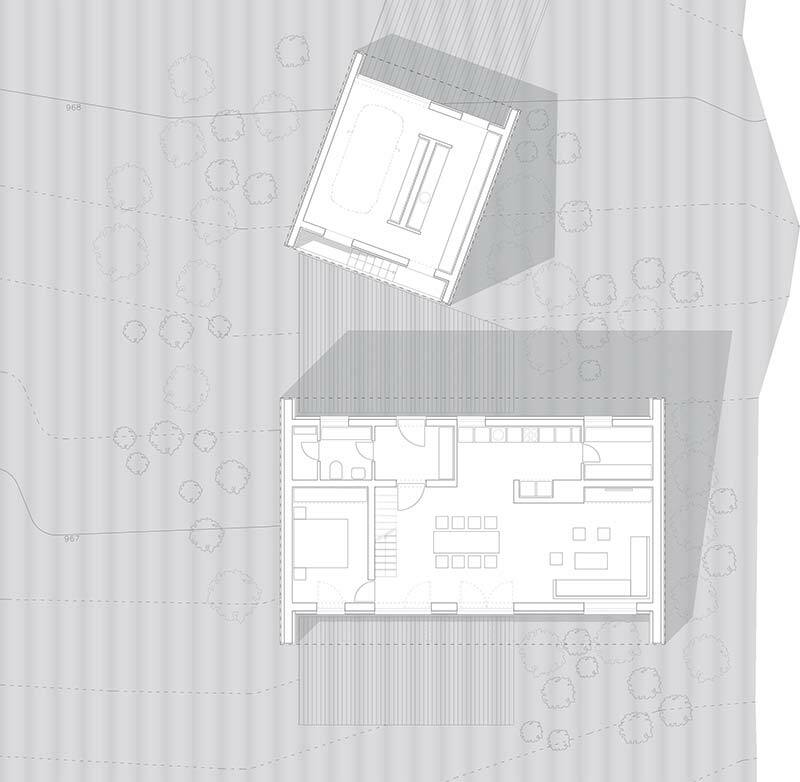 Separate volumes (existing and planned) are placed together in a manner which forms different sequences of outdoor space relating by given nature to the inner program of the house. 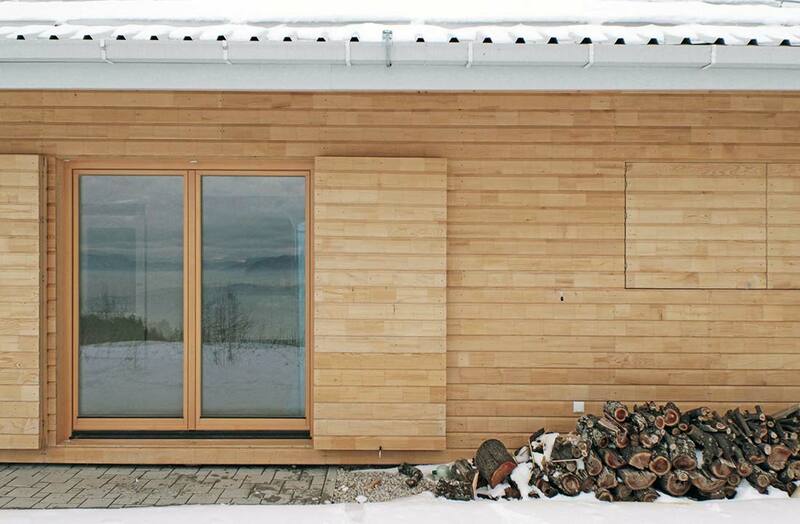 Placed on the hill, high above Sarajevo, house NHRV refers to a mountain hut archetype. Compact volume, steep roof and openness toward the direction of the slope, are major elements which define the spatial character of the house. 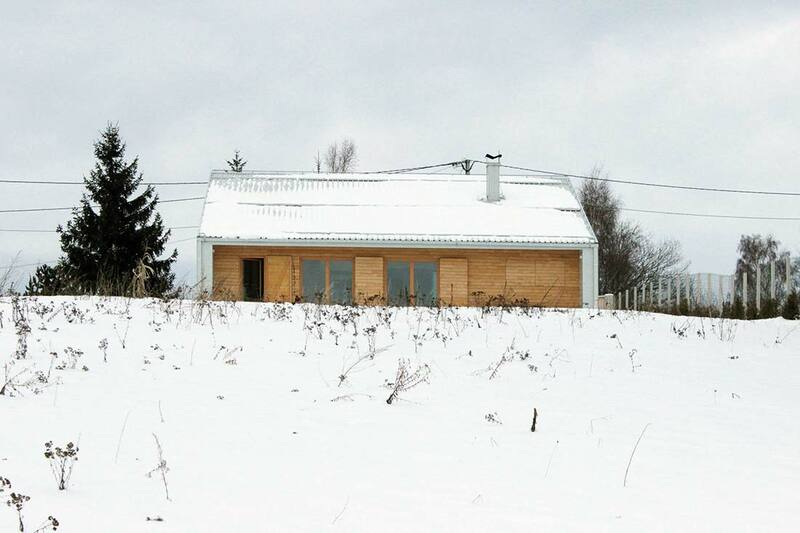 Same as “katun” (Bosnian mountain hut), house NHRV is just a simple roof above the ground, primarily covering the central living room area, as well as other programmatic units mainly oriented toward the center. 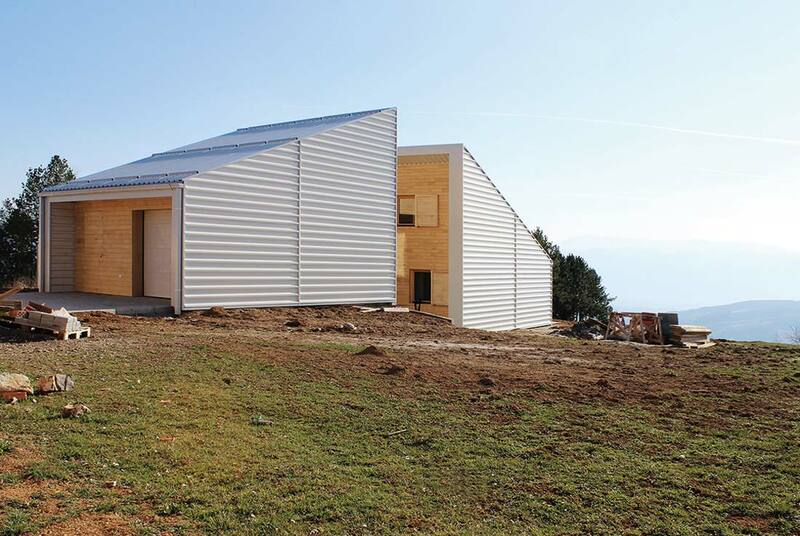 The appearance of the house is given by two materials- white frame made out of corrugated metal sheets, and wooden infill at the front and back facade – both referring to dominant, south-north orientation along the slope, toward the sun, and the view. Wooden window blinds, made out of the same material as the facade, give a double character to the house: scattered, vital openness- when the house is inhabited; and a monolithic, restrained appearance- when it is not being used. From the smallest scale up to the whole, house NHRV is a combination of simple spatial forms and trivial construction details, matching the logic of underdeveloped construction industry inside Bosnia and Herzegovina. 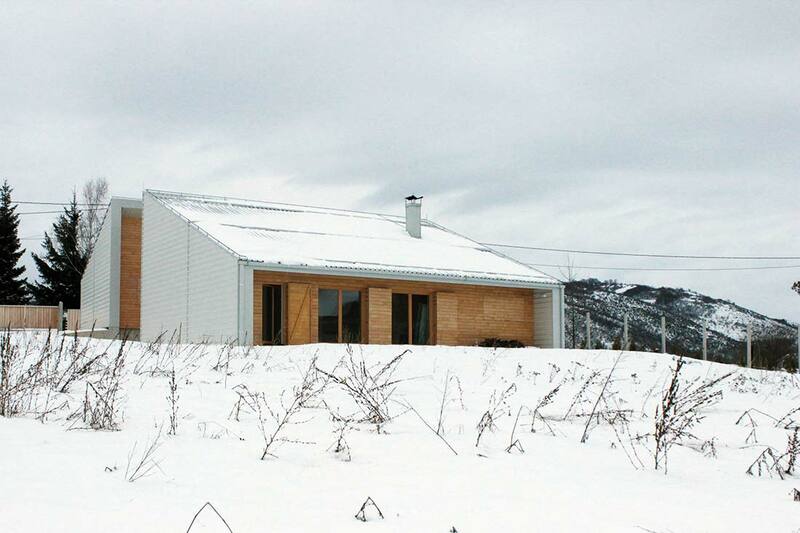 Although built within the limits of a relatively restricted budget, the house has a low heat loss during the winter and high resistance to summer conditions, due to the fact that it has an efficient, ventilated envelope (U= 0.25 W/m².K), a section which allows continuous airflow, proper mass of the building and optimal orientation toward the sun. Relatively low cost was achieved by careful balancing within cost priorities, choice of materials and construction methods. Name of the photographer: FILTER ARHITEKTURA d.o.o.